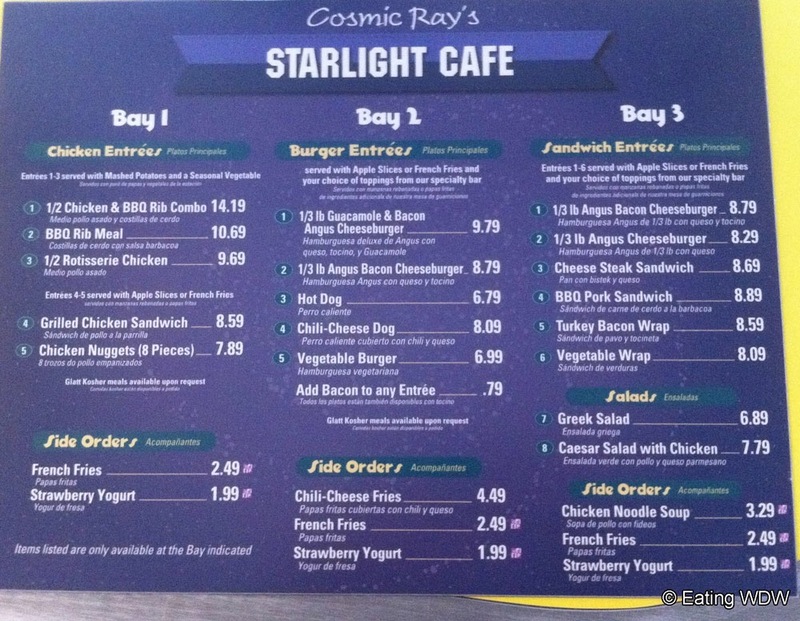 The Mature Mouse™ dined at Cosmic Ray’s Starlight Café for the first time, and the experience was really chaotic. I am on the quick Service dining plan, so I have eaten at numerous QS restaurants while at WDW. Most of these have had some organization to the flow of traffic. There wasn’t a cast member directing guests to bays, or directing guests into each line, as they do at Restaurantosaurus and Columbia Harbour House. And, to add to the chaos, one of the bays was closed. The food is your basic QS fare, nothing special. The highlight of my experience was the performance of Sonny Eclipse. It seemed as though most of the guests were not paying attention to the entertainer. I felt sorry for the alien.